WHERE DO YOU SERVE BESIDES MESQUITE? Our company, Appliance Repair Pros of Mesquite, services Mesquite and beyond! Frisco, Dalls, Plano and more! DO YOU HAVE ANSWERS OVER THE PHONE? We always do our best to figure out what the issue is over the phone before we come out. Did you know that we get calls all of the time that we are able to help our customers determine that it is just a loose cord or other simple issues that the homeowner can actually fix easily without us! This saves us a trip and them a bill that they would have otherwise had to pay for an unnecessary service! If you have any questions, we have compiled a Refrigerator Repair FAQ for you to reference! This has some useful information that can help you maintain and troubleshoot your fridge! This Household Appliance Repair Company services many appliances found around the home, garage, kitchen, and laundry room. 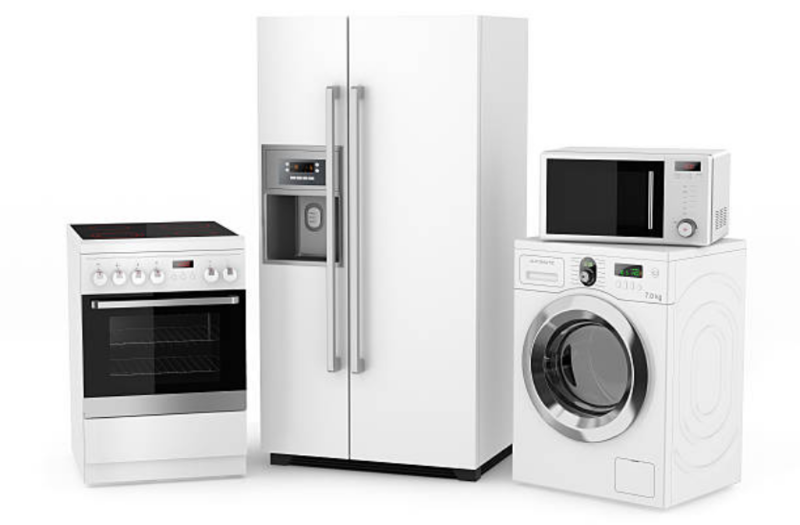 Small and large appliances alike, we will take care of it for you, from A-Z. We love working in Mesquite, and we can't get enough of our amazing customers! Over the years they have become like a second family to us. Nothing makes us feel happier than being able to diagnose and repair your appliances, at the right time and at an affordable price. Trust us for your appliance repairs, and you cannot go wrong! We come to you! You never have to worry about loading an appliance in your vehicle to take it to a repair shop again. We are usually able to make it out the very same day! WHAT TIMES DO YOU OFFER REPAIR? Our Mesquite Appliance Repair Services are open at 8 AM - 5 PM daily. We are always available to chat with you on the phone, but if for some reason we miss your call, please fill out our contact form to get a response within 12 hours. We also are able to return your voicemail. Don't worry; our customers are always our number one priority. WILL YOU SHARE PROFESSIONAL TIPS? Yes, in fact, you can find lots of information on our FAQ page as well as specific information on each type of appliance we repair on a regular basis. You'd be surprised at the simple things you can do to maintain your appliances and these little things go a long way in preventing damage and reducing the number of repairs the appliance will need over the years.